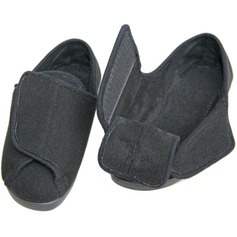 Our specialist Footwear has been specifically selected to bring you comfort and support, even when your feet are swollen or painful. 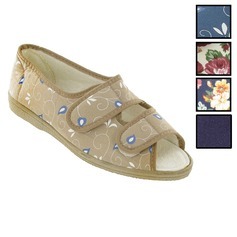 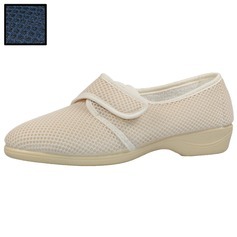 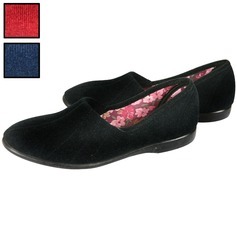 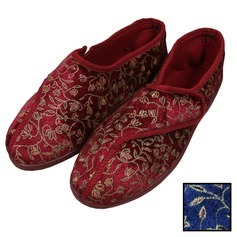 The selection of Shoes and Slippers Independence Ltd offer can come in sizes up to an EEEE fitting. 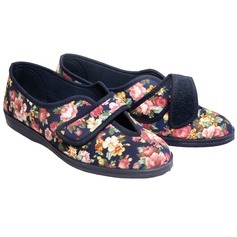 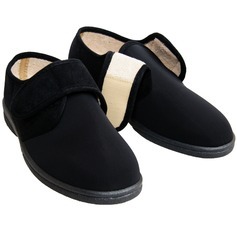 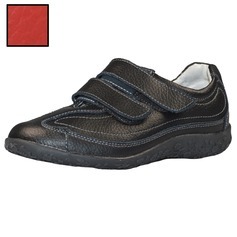 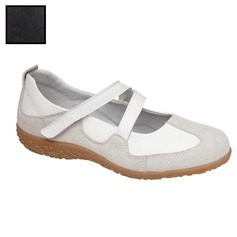 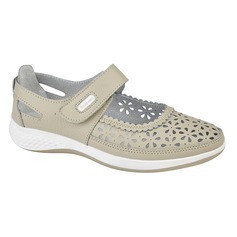 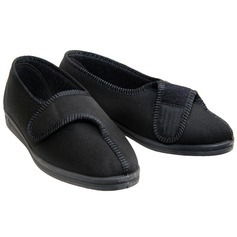 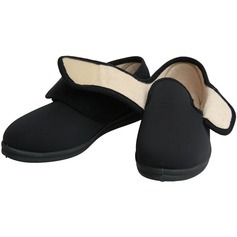 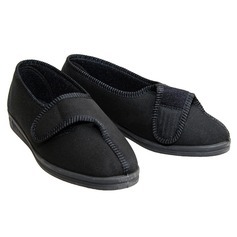 Our Soft, Lightweight Shoes and Slippers can be completely adjusted and fully opened making it easier for the wearer to get on and off the foot. 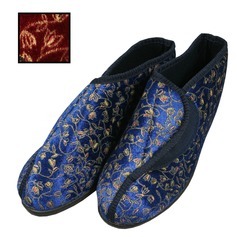 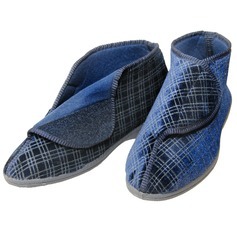 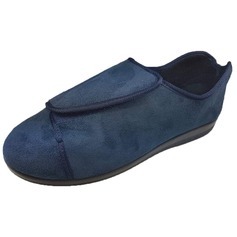 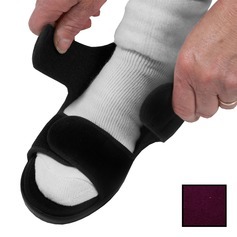 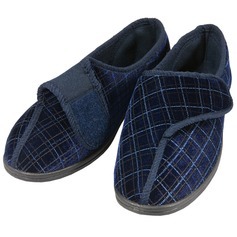 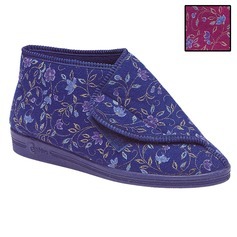 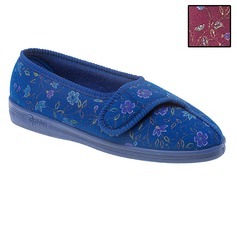 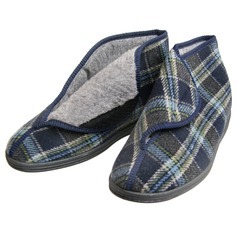 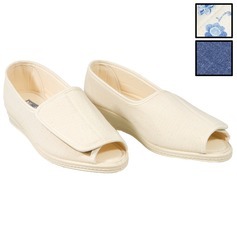 Coming in a range of styles and attractive colours, enjoy the comfort of a soft, gently padded and Extra Wide Slipper, that can be adjusted throughout the day as your feet swell and expand. 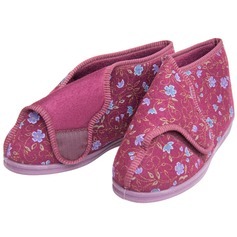 If your feet have swollen to much however, why not try our Bootee Slippers that avoids cutting in to the skin by wrapping over the feet.